At WAHL Rechtsanwälte GbR, we are committed to providing our clients with high quality, personal service in virtually all Civil Law and Business Litigation matters, as well as criminal law issues. Our deliberately lean staffing means we can give full and undivided attention to the details of each client’s particular problem without being required to support unnecessary overhead. We pride ourselves on providing the highest quality legal representation at reasonable rates. Our goal is to obtain the best results possible for our clients in a cost-effective manner. When you bring your middle market legal problem to the attorneys at WAHL Rechtsanwälte GbR, the first thing we do is listen to what you say, learn and understand your set of thoughts. We know business, but in order to help you effectively, we need to understand your business and your way of intern set-up. Our attorneys have the unique ability to quickly get up-to-speed on what is necessary to solve your problems and thus to help grow your business. Our expertise goes beyond litigation, and includes assisting clients in matters involving administrative law, banking, consumer issues, business planning and other related matters. Wahl Rechtsanwälte GbR is a law firm located in Berlin, Germany, which practices throughout Germany. Besides German and English we are fluent in Russian. 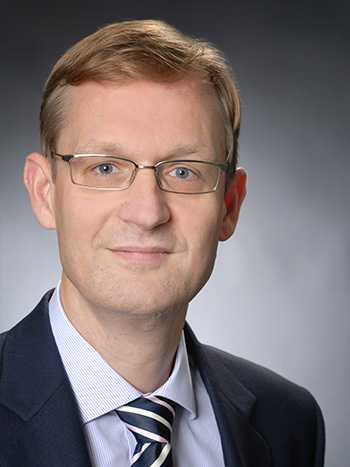 Michael Wahl a Moscow State University of Foreign Affairs and Berlin Humboldt-University graduate with more than 13 years of civil litigation experience, focused particularly in the areas of business and commercial transactions. 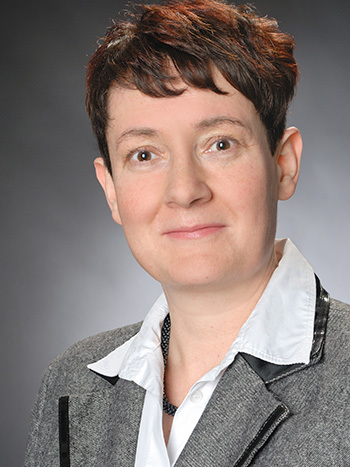 After graduating from the University of Education Erfurt-Mühlhausen and Kaluga (Russia) and from the Law faculty of the Free University, Berlin, Susen Wahl wrote her doctoral thesis in international criminal law. She worked at the Institute for East European Studies at the Free University Berlin and on projects of the European Union. She is a board member oft he International Criminal Law Society, www.icls.de. She focuses on labour law and criminal law. And really everything splendid is rare. Every company goes through minor changes and upsets that can cause a ripple in the efficiency of business. Larger disputes like contract, financing or warranty issues, however, may critically dampen your business’s prospects. These situations call for legal service capable of achieving the quickest and best resolution. At WAHL Rechtsanwälte GbR you can obtain the fast-acting legal assistance you need to get back on track with your life and business. We listen and devise solutions. Contact our professional team of experienced business litigation attorneys today. The first key skill that the corporate lawyers of WAHL Rechtsanwälte GbR are equipped with is an understanding of business and how transactions will fit in within the ordinary scope and course of your business in general. The second and arguably most important aspect is an intermit understanding of company law as well as in depth knowledge of business entities. The lawyers of WAHL Rechtsanwälte GbR have excellent drafting skills and are able to include and delete clauses in contracts for maximum value to you as our the client. At WAHL Rechtsanwälte GbR, our real estate lawyers possess the experience necessary to manage a variety of real estate issues, including those involving purchase and acquisition, real estate contracts and commercial leasing. Our real estate lawyers have broad experience in various forms of finance, including acquisition loans, land development loans and construction loans. Our real estate lawyers are prepared to assist in the acquisition, disposition, financing, development, leasing and operation of all types of property, including office buildings, residential developments, mixed-use developments, apartment complexes, hotels, restaurants and more. We represent buyers, sellers, lenders and other parties in all aspects of commercial real estate agreements. Labor law is a broad area that includes areas of the employer / employee relationship except the negotiation process covered by labor law and collective bargaining agreements. Employment labor law has its roots not only in federal employment laws, but in employment law statutes, regulations and judicial court decisions as well. Many employment laws including minimum wage laws and regulations were enacted as protective employment law, wage and hour and labor legislation. Employment law involves the interpretation and application of a variety of statutory law and principals established by judicial court decisions. With any wrongful dismissal or constructive dismissal claim, it is essential to seek legal counsel that are experienced and have a strong understanding of employment standards legislation, human rights issues, occupational health and safety regimes, workers’ compensation systems and a variety of other employment related matters. WAHL Rechtsanwälte GbR is just that - experienced and successful. WAHL Rechtsanwälte GbR regularly represents individuals in respect to issues arising out of their employment, including providing advice on employment contracts, negotiating settlements and litigating employment related disputes before the Courts. Effective public law representation requires a combination of special legal knowledge, judgment and experience as well as an ability to operate in the public policy environment. These skills are applicable whether representing individuals, private parties or local governments before state regulatory agencies. WAHL Rechtsanwälte GbR embodies and deploys all these necessary attributes. From counseling on condemnation issues, working with and working for governmental and public entities (PPP), drafting and negotiating development agreements, architect agreements to advocating clients’ interests in contested administrative proceedings, our counsel includes all of this. Administrative Law is the primary means by which most people access the justice system. Specialized administrative tribunals, such as the Verwaltungsgericht Berlin, are tasked with adjudicating a complex array of issues affecting a diversity of interests. Administrative boards and tribunals are designed to provide an efficient means of adjudicate disputes while respect the principles of fairness and natural justice. The lawyers at WAHL Rechtsanwälte GbR are familiar with the proceedings and we represent the interests of our clients in full respect of the governing principles in German constitutional and public law. Often, business litigation involves a breach of contract or a dispute over a partnership agreement. Template contracts that are not reviewed or modified by specialists often pose a problem down the road. Businesses may not appreciate the potential risks until they are confronted with a lawsuit. The experienced Lawyers at WAHL Rechtsanwälte GbR represents businesses and not-for-profit entities in many types of partnership and contract disputes. Our lawyers have extensive business litigation experience. Our Lawyers offer legal advice, which is meant to build a fundament to avoid future conflict. Our attorneys listen carefully to understand company dynamics. We often are able to find creative, individualized solutions that avoid needless litigation. We utilize results-oriented strategies to resolve contract disputes in the most timely and cost-effective manner. WAHL Rechtsanwälte GbR represents a wide variety of experience and resources to meet the international legal needs of our foreign and domestic clients, whether businesses or individuals. The resulting synergies and complementary skills let us help industry leaders and successful individuals navigate both the expanding global economy and an international lifestyle. Our Lawyers work with foreign companies establishing and maintaining a presence in the EU, Germany or otherwise subject to the EU or German laws; with foreign individuals pursuing business and personal interests in the EU; and with German companies and individuals entering and active in the international marketplace. drunk driving, assault and domestic violence, drug crimes, such as drug cases involving drug possession, trafficking, manufacture and conspiracy, as well as related issues of forfeiture, different traffic offenses, theft and fraud, sexual assault. Juveniles (minors 14 – 18 and 18 – 21 years of age) can be prosecuted for the same crimes for which adults can be prosecuted. The goal of the juvenile justice system is to rehabilitate youthful offenders. Some important differences do exist between the adult and juvenile justice systems. It is crucial that your juvenile crime defense lawyer have experience litigating cases before juvenile judges, so that your juvenile judge can be challenged if your lawyer feels that he may rule against the minor in a biased manner. A minor can be eligible for informal probation, which means that if he complies with a probation officer's plan of supervision, the charges will be dismissed after the probationary period. At WAHL Rechtsanwälte GbR you will find a skillful and experienced juvenile criminal defense attorney knowledgeable in juvenile law to defend your son or daughter. AT WAHL Rechtsanwälte GbR clients with family law issues that transcend two or more countries will find lawyers with extensive experience addressing divorce jurisdiction, marital property, alimony, and custody problems in the international context. In addition our lawyers are adept at developing strategies and solutions that address the complexities arising from immigration laws. Our lawyers are used to working with legal counsel in other countries, and to solving problems caused by different legal systems, languages, cultures and social traditions. The international family-law lawyers at WAHL Rechtsanwälte GbR also regularly address the sensitive issues involved in international parental abduction of children, whether or not covered by the Hague Convention. The WAHL Rechtsanwälte GbR lawyers are very sensitive to the need of Foreigners in or outside of Germany to claim their German inheritance. Our deep legal experience in lots of similar cases, has led our law firm to be specialized in clearing up German inheritances, even in long neglected cases and / or matters contested by third parties. The lawyers of WAHL Rechtsanwälte GbR assist in such inheritance issues by tracing the property title anywhere in Germany, investigating the legal and actual status and providing a full legal analysis report. After the passing of a person, the crucial issue is who will be entitled to the German inheritance that the deceased has left, that is who will be called according to the Law as his legal heir. After office hours Attorney Michael Wahl can be reached on his mobile telephone number +49 (0)172 – 985 28 69. For the details please get in contact with our stuff. Use the following bitcoin-address for checkout: 35tinRnn4LQofzgtCTJXzqWXnYt867raUE. All lawyers are admitted to practice as lawyers within the Federal Republic of Germany (Rechtsanwalt) and are members of the Berlin Bar (Rechtsanwaltskammer Berlin), Littenstraße 9, 10179 Berlin, Germany, www.rak-berlin.de, Tlf. +49 30 3069310, Fax +49 30 30693199 (Supervisory Authority). The professional rules of conduct for attorneys in the Federal Republic of Germany apply; these can be found at the website for the German Federal Bar Association (Bundesrechtsan- waltskammer) at www.brak.de. All texts, images and logos are protected by copyrights and trademark rights. Use of the texts, images, or logos without prior consent is prohibited and will be prosecuted pursuant to civil and criminal law. Diese Datenschutzerklärung ist aktuell gültig und hat den Stand Mai 2018. Durch die Weiterentwicklung unserer Website und Angebote darüber oder aufgrund geänderter gesetzlicher beziehungsweise behördlicher Vorgaben kann es notwendig werden, diese Datenschutzerklärung zu ändern. Die jeweils aktuelle Datenschutzerklärung kann jederzeit von Ihnen abgerufen und ausgedruckt werden.